This post is about preparing for emergencies–primarily for your cats! It needed an update and rewrite, so here it is! Everyday on the television news, we see films of natural disasters. We see hurricanes. We see tornadoes. We see floods. We see earthquakes and tidal waves and war. We see failed nuclear power reactors spewing radiation. We see volcanos erupting. Wherever you live, there is something that could happen to you. Some disasters are more likely than others in the area where you live. Where I live, the largest threats are earthquake or volcanic eruption. There is a risk when living within sight of a dormant volcano. 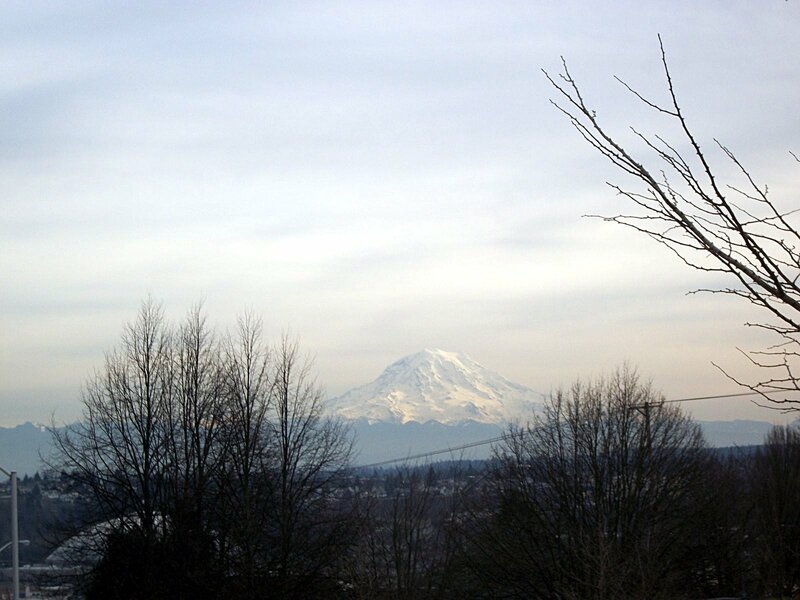 The volcano in my neighborhood is Mount Rainier. It is 14,411 feet high.